Designed to work with you, not against you. The Ocun Rival has the performance necessary for competitive or high-level climbing, with a comfort that's vital in facilitating the healthy growth and development of children's feet. This climbing shoe features a moderately aggressive downturn to tackle harder, overhanging problems, and a low asymmetry that doesn't twist the foot to limit foot pain. A heavily rubberised toe-box increases friction and grip for the kind of technical toe-hooking manoeuvres usually found in competition boulder problems, and the slipper construction is soft and supple to cater for hooking and smearing. This soft construction also enables the foot to bend and flex, minimising the stress placed upon it. 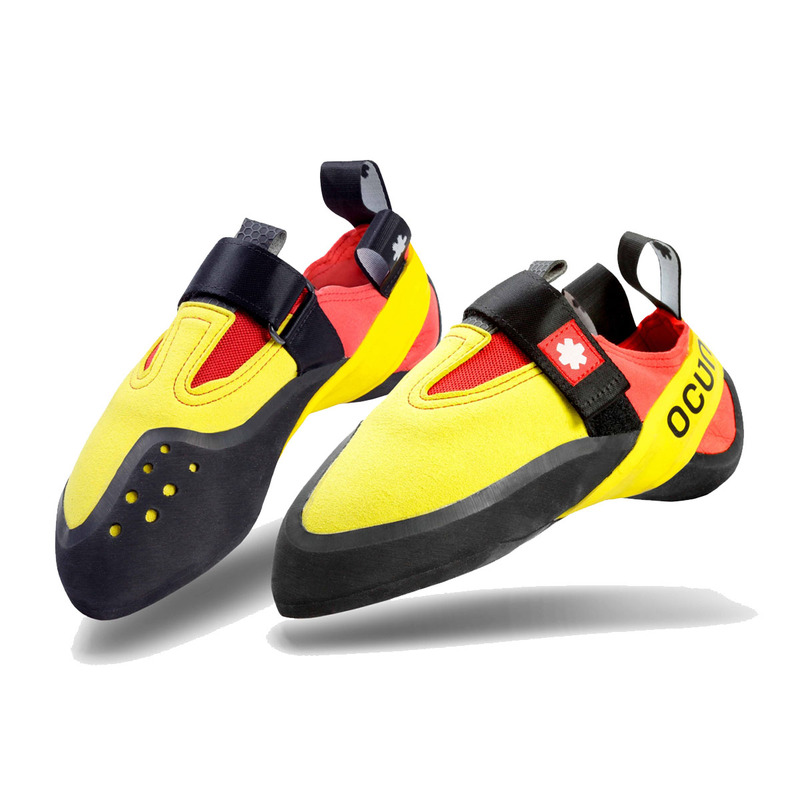 Highly comfortable and foot-friendly, and with competition-level performance, the Ocun Rival is for any younger climber seeking either to compete or to climb at high levels in a climbing shoe that will keep them sending for years to come. Top performance shoe rubber developed especially for maximum adhesion. The material has a high friction parameter which ensures excellent adhesion on ledges and slabs. found the sizing on these a bit tight... my boy wears size 35 shoes and struggled to cram his feet into size 36..